There will be a lot of trout fishing opportunities in the next couple of months, offering some great ultra-light fishing fun. A light spinning rod and reel is one of the best outfits to use with monofilament fishing line of 4- or 6-pound test line. When fishing for recently stocked trout, a simple hook and split shot rig is all you need. A number 8 or 10 short shank bait hook is a good choice, tied on with an improved clinch knot. 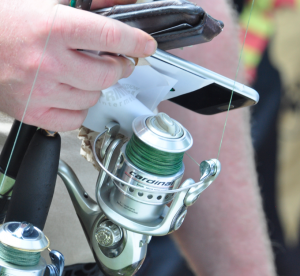 Be sure to place a small split shot about 2 feet above the hook. After you cast, the split shot will slowly take your baited hook down to the bottom; you may have to adjust the amount of weight to get the desired result. Look for pools and slow moving water, cast straight out or slightly upstream, and keep a tight line as your rig moves in the current. The desired effect is to have your bait move slowly along the bottom and settle when your line is at a 45-degree angle downstream from where you’re standing. The scent-enhanced dough baits in bright pinkish red or orange are perhaps the best and easiest bait to use. The dough baits come in a small jar and are very convenient; you just squish a small hard ball about the size of a pea around your hook. You can expect to get stuck on branches and logs lying on the bottom, so bring plenty of extra hooks and spit shot. If you are fishing in a stocked pond, you can also try fishing with a bobber with your bait several feet below the bobber. Have fun and try to keep those fingers warm and feet dry! 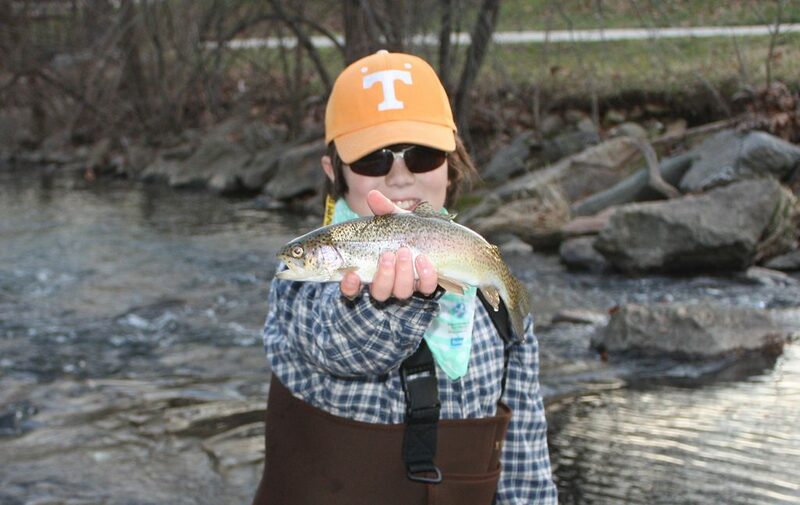 This content is part of the Maryland Youth Fishing Club’s Fish Zone seasonal newsletter. Sign up today to get information delivered straight to your inbox!